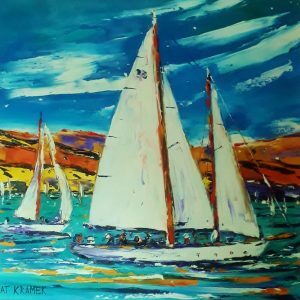 Pat Kramek trained at Duncan of Jordanstone School of Art from 1972 to 1976. She has worked as a designer for various textile companies. Pat also worked in education teaching art and computing. 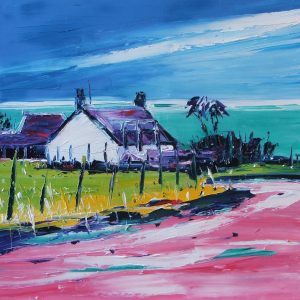 She now lives and works in Ayrshire as a full time painter. She is a member of the PAI, Primera and the SSA. Pat has had various one-man shows including the Torrance Gallery, Edinburgh, The Mitchell Library, Glasgow and Queen’s Gallery, Aberdeen. She has also participated in mixed exhibitions abroad and in the UK. Her work is in many private collections throughout the world. 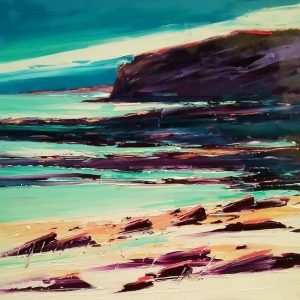 She mainly paints in oils and her work is all about light and colour and texture. 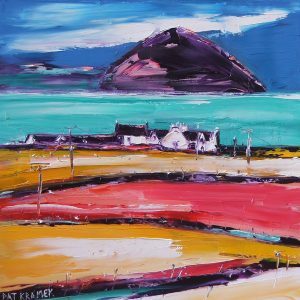 Her work is strongly influenced by her trips to Europe and the Scottish Landscapes. ‘I seldom envisage the finished painting, although I usually hope that it resembles the subject that I am about to tackle. People can usually ‘read’ my work from a distance. The viewer sometimes expects to see realistic details when looking up close, but instead is faced with complete abstraction.